Meet our Panel of Judges. 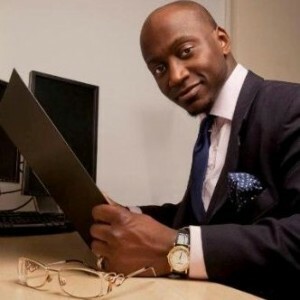 Tunde is a barrister working at Doughty Street Chambers in London and practices in the areas of general crime, immigration and extradition. 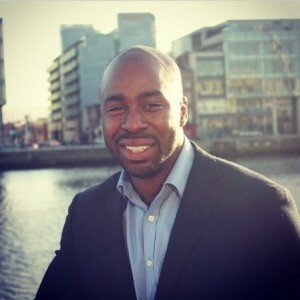 Tunde runs a project called Urban Lawyers; a multi-media education and information resource designed to educate, engage and stimulate discussion amongst young people about their attitudes towards criminal law, policing and personal responsibility. 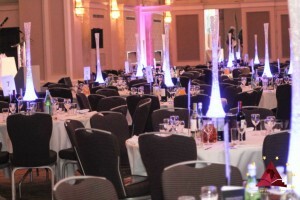 Tunde is energetic, a multiple award winner and consummate professional. Tunde has a comprehensive, fast-developing practice comprising of General Crime, Serious Crime and Extradition. All of his work encompasses an element of Human Rights and is focused on issues of social justice and civil liberties. Tunde has also been invited to make a number of public speaking engagements for charitable bodies that work with young people and disaffected communities at Greater London Authority, Body and Soul, and Free The Child Foundation to name a few. Mavis Amankwah is a multi-award winning serial entrepreneur, who specialises in business sustainability, marketing, PR and diversity communications and has been working in the business arena for over 12 years. Mavis has been featured in over 130 press titles (national and international), including the Guardian and PR Week. Earlier this year, Mavis was listed in PR Week’s PowerBook as one of ‘the most influential people in PR,’for the fifth consecutive (2009-2013) and has currently been the only black woman in this definitive guide, amongst hundreds of other PR professionals and industry leaders. 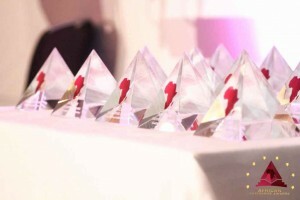 The serial entrepreneur is a natural spokeswoman who often shares her life and business experiences through motivational speaking engagements, and has shared the stage at various conferences and expos with high profile dignitaries and celebrities such as Levi Roots, Stedman Graham (Oprah’s partner) Lord Alan Sugar and Sir Richard Branson. Sonia is the founder of Inspirational YOU, a London based social enterprise launched in March 2010 with a mission to connect, inspire and empower people of all ages and backgrounds who want to make changes in their professional lives. Sonia was featured in Powerlist 2013, which profiles the most influential people of African and African Caribbean heritage in the United Kingdom, and listed on Blackenterprise.com as one of London’s most powerful black women. Sonia is a passionate and influential Project Manager with over 10 years experience of CSR, coordinating live events and empowering SME’s. Sonia has recently been selected as a RSA Diaspora ChangeMaker, which is a new project that has identified the UK’s most promising individuals of African origin who have a desire to support African communities in the UK and Africa. Paul is director of a social enterprise called GiFT Investments that is committed to the investment and empowerment of future generations in Africa and the UK. As a strategic thinker committed to embedding proved change processes, he is focused investing and leveraging innovative business ideas and outcomes towards making a social impact. Through GiFT, Paul has recently been working with Emmanuel Jal, a former child soldier and now leading musician/ social activist and with Paul Lindley, a successful business entrepreneur to create ‘The Key is E’–an exciting education and engagement program to identify African business start-ups that will strongly benefit children. Paul is also I am a dynamic public speaker and advocate for freedom. He works hard at encouraging and facilitating collaboration between stakeholders in various industries such as government, business and NGOS. Paul is also co-leader of the Dunamis Network –a network focused on the development and character building of young men through mentorship and empowerment. With aim to build and grow the capacity of urban communities towards confidence and societal leadership. Sophie Gitiba is a passionate and diligent multi-faceted professional with years of experience in resource mobilisation, business development, investment education and consultancy, marketing and strategic partnership building. She has spent over 20 years working with communities and is in touch with different Diaspora community groups, churches and business organisations from across the Globe. Sophie sat on the board of New Deal for Communities as an elected member for 4 consecutive terms, 2002 –2010. 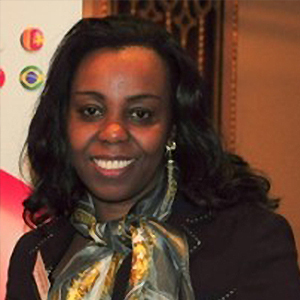 She is a director of Transglobe Capital Limited and heads the investment arm of Kenya Community Rebuild Foundation. She is also a co-chair of the global Kenya Diaspora Confederation. 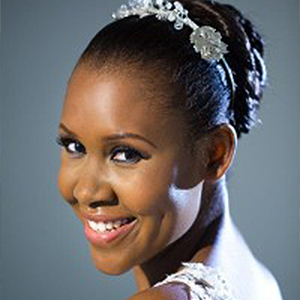 Sophie has co-founded Trueman Enterprises Kenya, Hope International, Sokoni Investment Consultancy, Miss Scuba Kenya and Westcote Enterprises Ltd. Earlier this year she was selected to undertake an intensive one year program made up of 100 African Diaspora Change Makers, funded by the RSA, Comic Relief, DFID and Unbound Philanthropy. Joshua Chigwangwa Karumazondo holds a BA (Hons) Admin degree from the University of Hertfordshire and is working towards a post grad qualification. 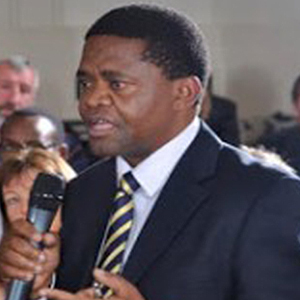 He also holds a Diploma in Public Sector Accounting from Harare Polytechnic and is a qualified member of the Association of Accounting Technicians in Zimbabwe (ZAAT). He currently works for Hertfordshire County Council as a Support Worker since 2006 and is aspiring to be a Councillor in Welwyn Garden City in the forthcoming elections later this year in May 2014. Prior to that he acquired commercial working experience with Ocado for 4 yrs as a Personal Shopper and worked for 10 years in the Public Sector in the Zimbabwe Public Service specialising in Local Government Finance and Management of Donor Funded programs with the Public Service Commission involving the Civil Service Reforms, Performance management systems and dynamics of culture change in the public service to be more responsive to the needs of the people. He holds several in-service competence training and development courses acquired over the years. 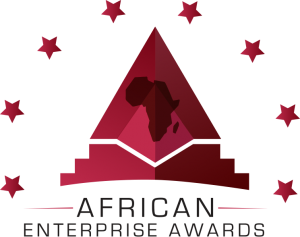 Rosemary is a multiple Award winner, Commercial & Residential Property Surveyor, Founder of Swanilenga Group Ltd (her parent company, which to mirror her expertise & interests, has projects in the following subsidiaries; Property; Fashion, Charity & Media). Under Swanilenga Publications, Rosemary has a blog called 502Is (https://502is.wordpress.com) which recognises international and inspirational people and companies in her areas of interests and goes live annually on her Birthday, as one of her several ways of giving back to the community. Rosemary is also the author of EMBRACING NUMBER 7 (her first book) & THE FRUITS OF THE ONE WHO COUNSELS (her second book). Copies of her books can be obtained from Amazon directly & through various international links including Barnes and Noble and Waterstones. Her books are also available via kindle, alternatively signed copies can be ordered through Swanilenga Publications via enquiries@swanilenga.com. Rosemary is a Virgin Media Pioneer, a brand associated with Sir Richard Branson In 2012 Rosemary was recognised in the Worldwide Who’s Who database as endorsed by Donald Trump Jr and most of you would have spotted her on the front page of the Evening Standards News paper when she was nominated to carry the 2012 Olympic Torch. Formerly, Rosemary is a Beauty Queen at heart who had the pleasure of being Zambia’s reigning Queen in the UK for 3 years in 2003 then moving upwards & onwards as Zambia’s envoy at Miss World 2004 and as a finale to her pageantry chapter; Miss Universe 2007. In November 2007, she received a Royal invitation from Buckingham Palace by Her Majesty the Queen to attend a reception recognising those who had made a national contribution to life and painted a positive image to Africa. Also in attendance from the Royal family were; The Duke of Edinburgh, Prince Michael of Kent and other Princesses. 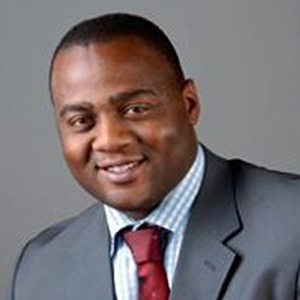 Julius Nkafu (LLM, LLB, PGCE) is an experienced lawyer and partner in a London law firm. Julius heads the Civil and Commercial Department. Prior to becoming a partner he owned and ran a very successful London-based law firm. Recognising the importance of high quality legal representation, he has conducted many important cases in the United Kingdom. He attributes his successes largely to the importance he places on promoting equality, human rights and challenging discrimination. For the past twelve years he has been an elected Member of Hackney Council which includes a lead responsibility for Crime and Community Cohesion. He is responsible for delivering crime reduction strategies in the borough, achieving measurable outcomes whilst ensuring value for money. Crime has fallen year on year in Hackney and he has championed effective partnership working with the Police and other statutory and non-statutory partners. He is experienced in handling sensitive issues and restricted information; an example includes being briefed on high profile murder investigations. He is an accredited Peer with (LGA) Local Government Association, formerly known as IDeA (Improvement and Development Agency) which supports improvement and innovation in local government. This results in working with local authorities and their partners to develop and share good practice. He is also a member of the Institute of Leadership and Management. Julius is also the chairman of the Cameroon Business Council and Chairman of Africans for Labour. 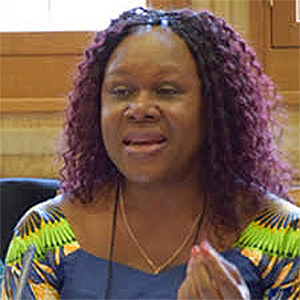 Dr Anna Vanderpuye graduated from University with a Masters degree in Development studies. She was then awarded an honorary doctorate at the University of Florence for her work in the field of African development. Anna was awarded an honorary citizenship by the State of Georgia United States of America in 2008 by the State secretary of State for her work with their House of Representatives and the Georgia Black Caucus. 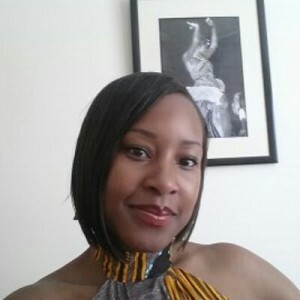 Between 2008 and 2012, Anna was the UK African Community Ambassador for DEFRA for their Personal Food Imports programme and Office for National Statistics for the pre Census sensitisation programme. Anna also worked as a consultant for two year also coordinating the Royal African Society’s Africa UK Diaspora Initiative. Anna is currently the Executive Director of African Business Roundtable (incorporating the NEPAD Business Group) UK and INGO Global. The activities of the Panel of Judges are coordinated by an AAOE appointed official.